Experience something you've never seen in a candy before! 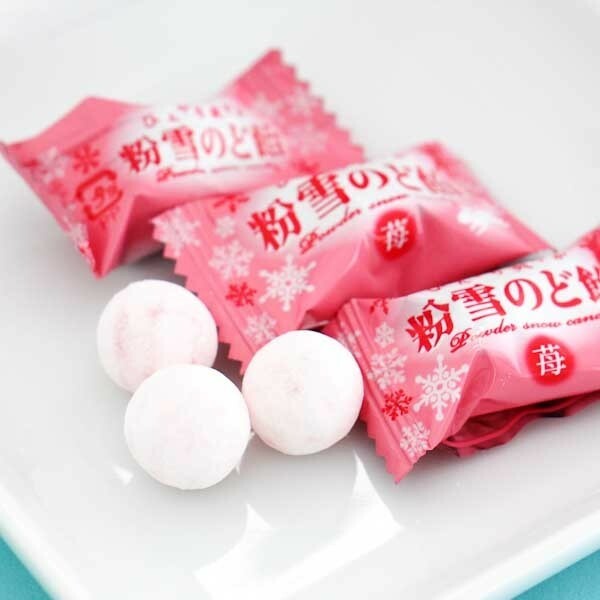 These Japanese Strawberry Snow candies are little round balls of strawberry flavored hard candy covered in snow! You won't believe that the powder is actually cold and it feels like you're truly eating snowballs! 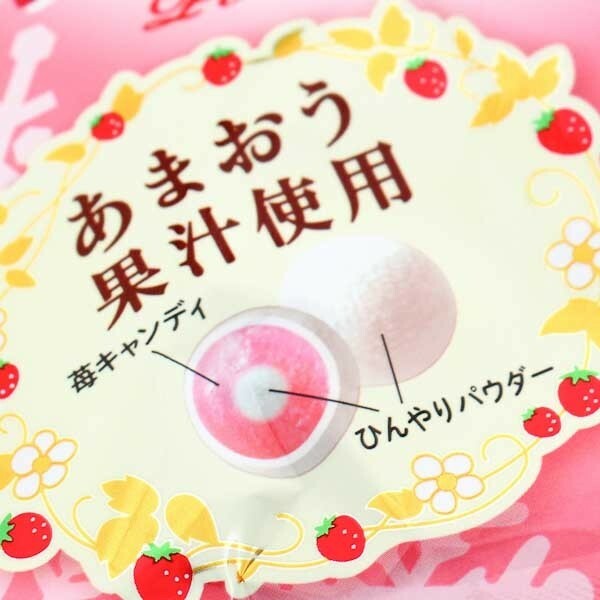 The strawberry flavor comes from real fruit juice, from the large Japanese Amaou strawberries that are very popular in Fukuoka, Japan. 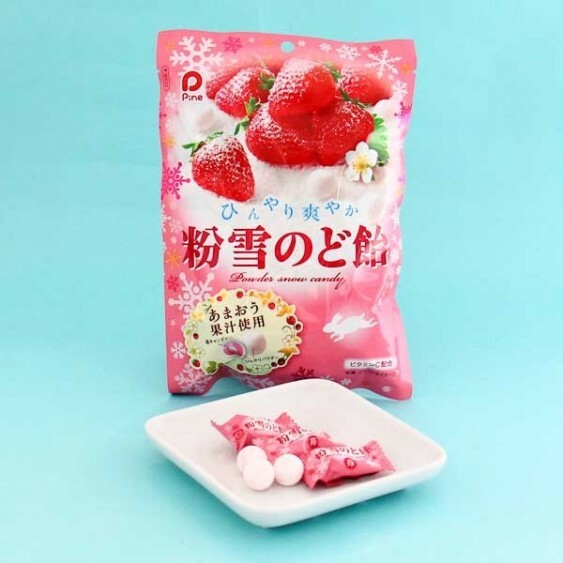 The bag has plenty of sweets for all of your friends and family to try this snowy strawberry sensation!